Do you love pets, always strive to give your best, and enjoy working as a team? You’ve come to the right place. Our success is achieved by providing rewarding careers to all of our staff members, and being a compassionate, competent and ever-present resource for our referring community. Above all we achieve our goals best collectively, and no one person or department is more important than Care Center as a whole. This is how and why Care Center came to be, and we invite anyone who shares this vision to become a part of our success. The Care Center believes that in order to provide the best care and service to its patients, clients, and the community, it must maintain a well-trained, motivated staff. We provide in-house training and CE for our employees as well as offer competitive continuing education benefits and tuition reimbursement. 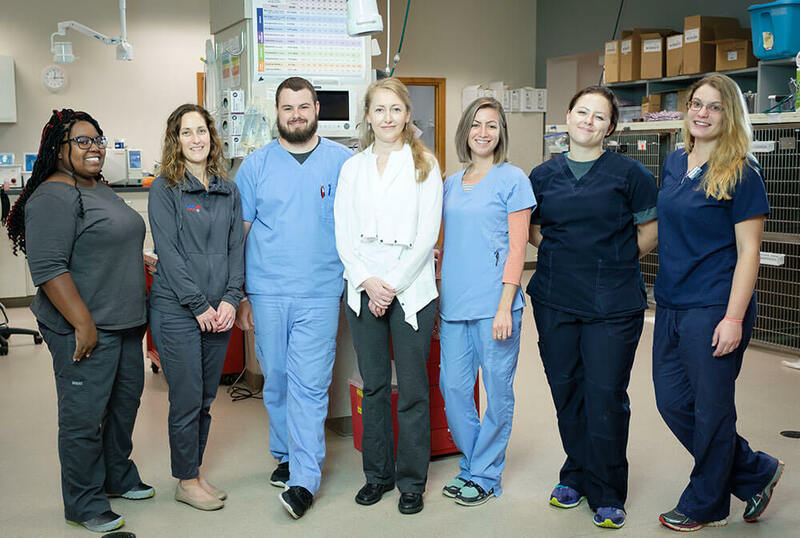 Growth within the organization is fostered through the Technical Advancement Program (TAP), which allows staff to pursue career goals within a structured program, supported by the Clinical Training Department. Technical and Administrative tracts are available through the TAP, permitting individuals to choose the career path that best suits their interests.